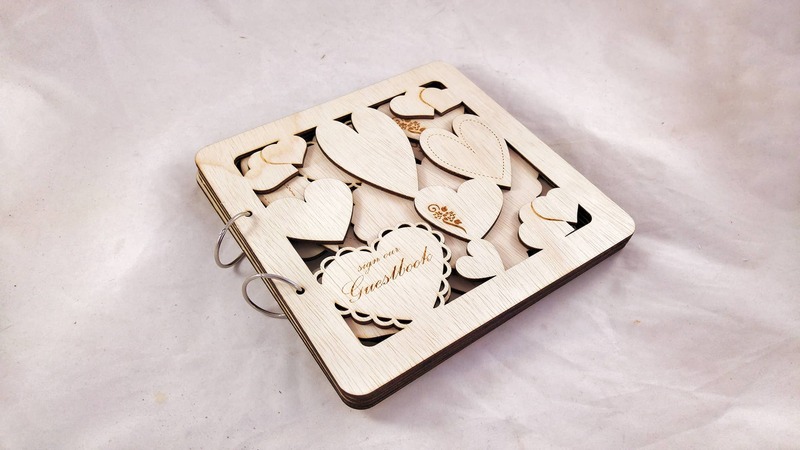 Layered Wooden Wedding Guest Book with a contemporary heart design. 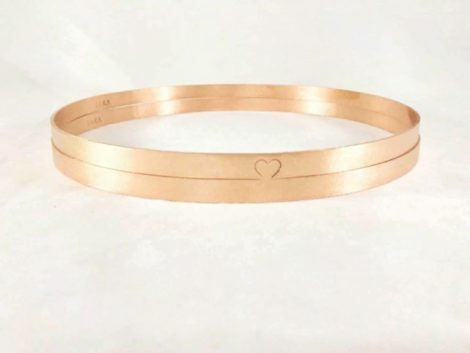 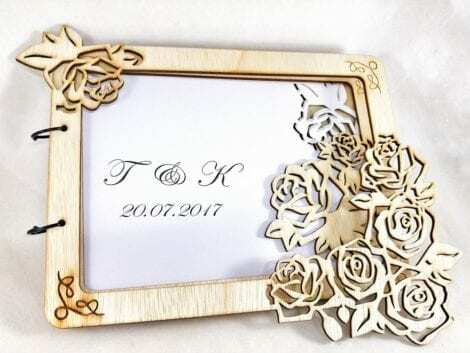 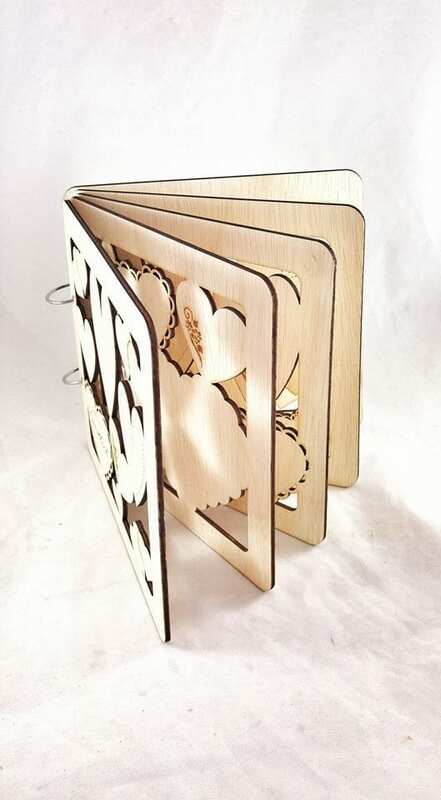 A uniquely designed wedding guest book that consists of 5 wooden “pages” with heart patterns. 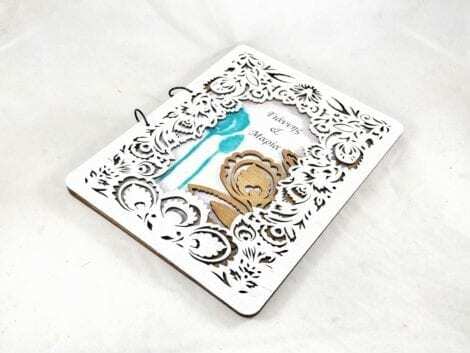 This is a great alternative for a guest book! 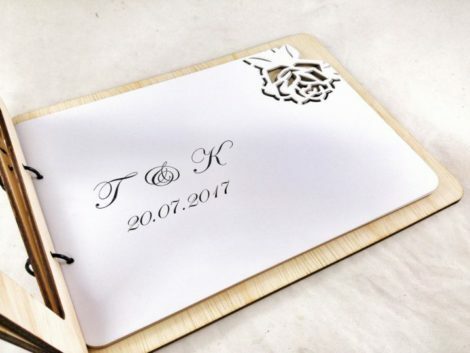 Guests can easily sign on the wood surface using Sharpie markers or various paint pens leaving you with a wonderful keepsake!